The Iranian Armed Forces displayed various types of home-made ballistic and long-range missiles during the annual military parades in Tehran on Tuesday. The September 22 annual parade marked the start of the Week of Sacred Defense, in honor of Iranians' sacrifices during the 8 years of Iraqi imposed war on Iran in 1980s. 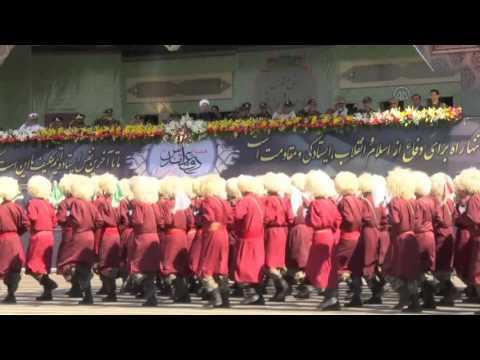 The nationwide parades were performed by various units of the Islamic Republic Army, Islamic Revolution Guards Corps (IRGC), Law Enforcement Police and Basij (volunteer) forces.